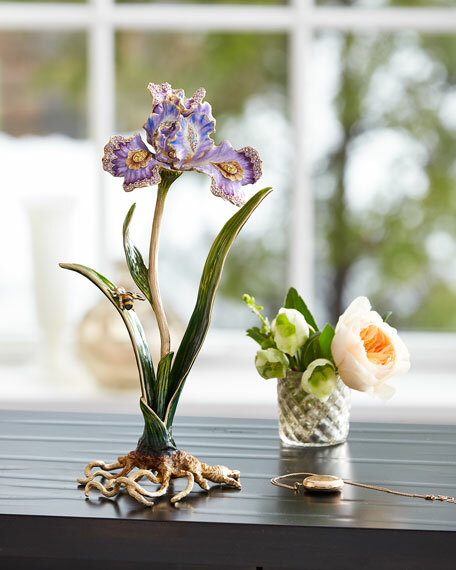 Our jeweled garden grows this season with our newest addition to our collection of flower objects with the elegant Vincent Iris. 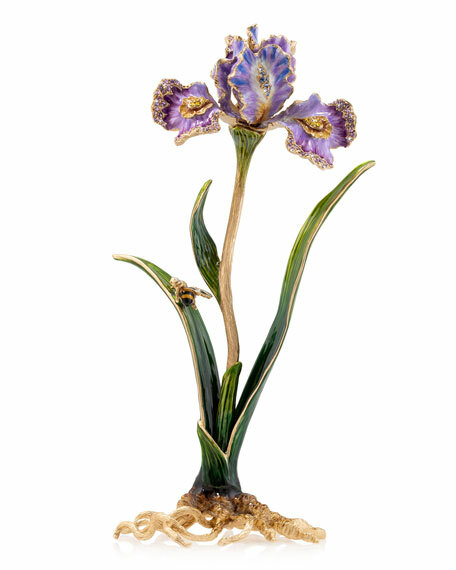 First carved in clay to capture the beauty of this flower, then cast in pewter and finally finished in 14K gold at our Rhode Island foundries. Our finest artisans paint each object with over 10 enamel colors and hand-set Swarovski® crystals. Clay cast in pewter 14-karat gold finished. Enamel colors and handset Swarovski® crystals. 6.75"W x 4.75"D x 12.5"T.